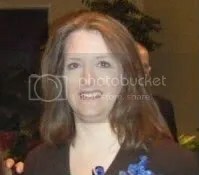 Southern California pastor Jessica Banks was sentenced to life in state prison last Friday for abusing her five adopted daughters, who were beaten daily, fed spoiled food and hidden in a garage. According to the linked article Jessica Banks, 65, of Moreno Vally was sentenced to 36 years and 8 months in prison along with two consecutive terms of 15 years to life. Superior Court Judge Richard Hanscom in Riverside described it as the worst abuse case he had seen. However, the Moreno Valley woman denied any wrongdoing and her attorney said an appeal was planned. It is my hope that if anyone affected by this case should find this blog, you can find some help and additional insight about dealing with the issue of clergy abuse in the articles in the right sidebar of this site and under the Church Abuse tab.